TimeZone : Public Forum » What is the style name with the numbers in "fives" to "55" minutes? I forget the name of that style but I like it. Sort of a working man's wristwatch, counting the minutes. Also, are their any favorites of that style? I'd like to research some of them. 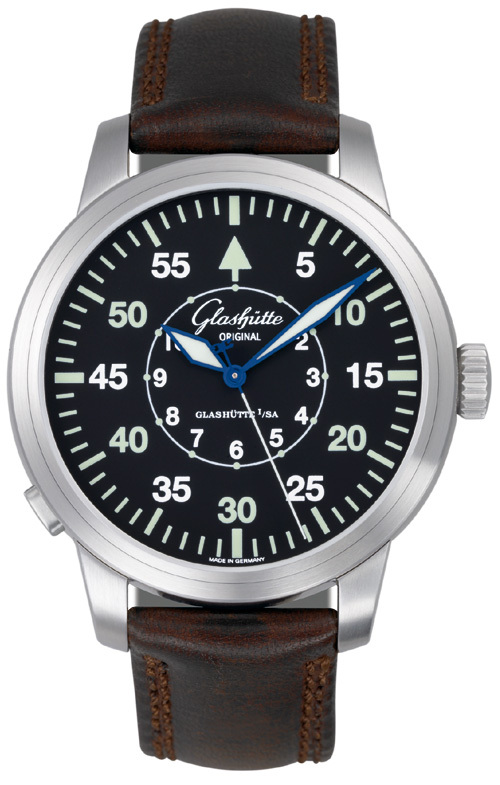 I've seen them listed as "Pilot" watches but not exclusively. 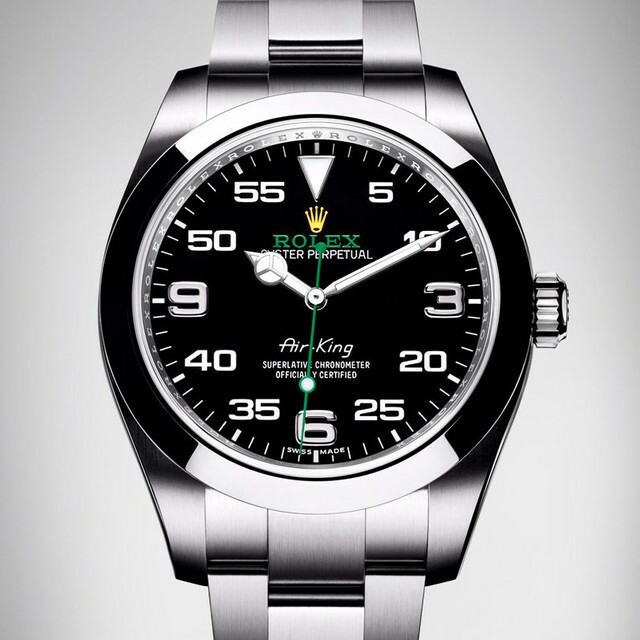 The late 40mm Air King Rolex had this type of face and was quite the curiosity I understand. I like that. Different. Never had one that big (40mm) my old Datejust is about right at 36 but what's 2mm more on each side. About as wide as a BB. ...the "Ferguson" dial predates both World Wars, and was used on some railroad watches. A Google image search on "Ferguson dial" brings up many examples. That said, the later B-Uhr aviation watches were not Ferguson dials, and so probably is OK to call something else. An interesting side-bar re: the Ferguson pocket-watch dial is the Montgomery dial / Ferguson dial war—maybe a USA railroad pocket-watch expert can chime in regarding the history of the war of the railroad dials. As a stopwatch dial. But navigator was probably more common because that's what the original function related to during world war two. Previous Topic: Thanks Jessica the Moderator, for your patience.